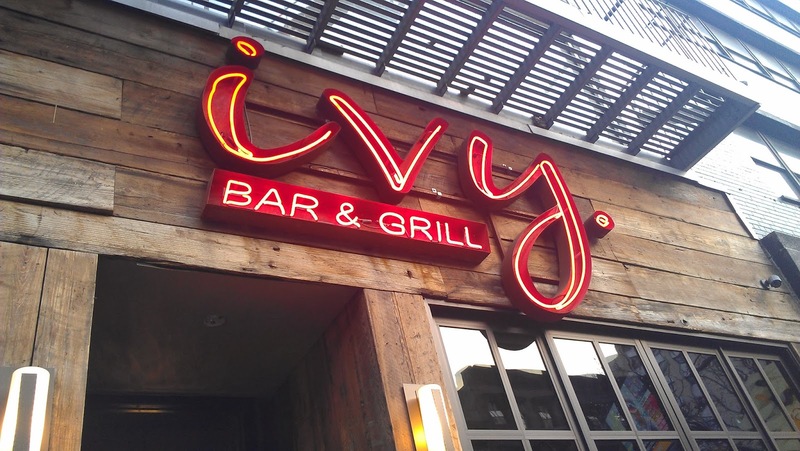 I knew I had to add the Ivy Bar and Grill to my “Must Try” list after Team FF’s Anne raved about her dining experiences there not once, but twice! The other night, the Mister and I both happened to be in the area during dinnertime, so naturally we paid a visit to this Midtown hidden gem. We arrived around 6:30pm (just in time to catch their daily 4-7pm happy hour) and the place was packed. The atmosphere had a relaxed bar/lounge feel – it appeared most of the patrons were divided into two camps: either unwinding after a long day at work or on dates. We were seated promptly by the friendly hostess in a cute little candlelit table in the back of the restaurant (looks like we were pegged for group #2). Having already perused the menu beforehand, we decided the theme of the night would be seafood. We started off sharing my favorite dish of the night, the Pan Seared Sea Scallops ($16), topped with almond peach vinaigrette, sliced scallions, and basil. 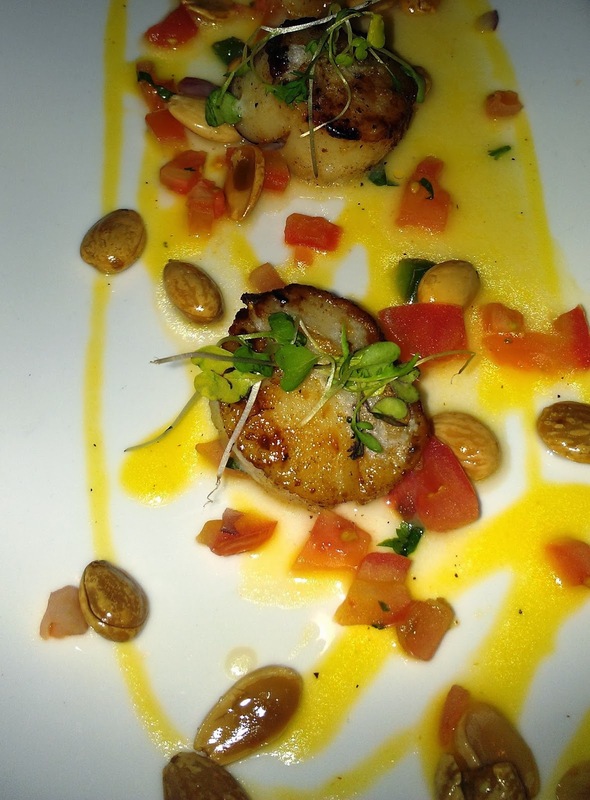 The scallops were seared to perfection and the roasted almonds scattered on the side added a nutty crunch to the plate. My only regret was not ordering two of this dish (at three scallops per plate, this is not meant for sharing). 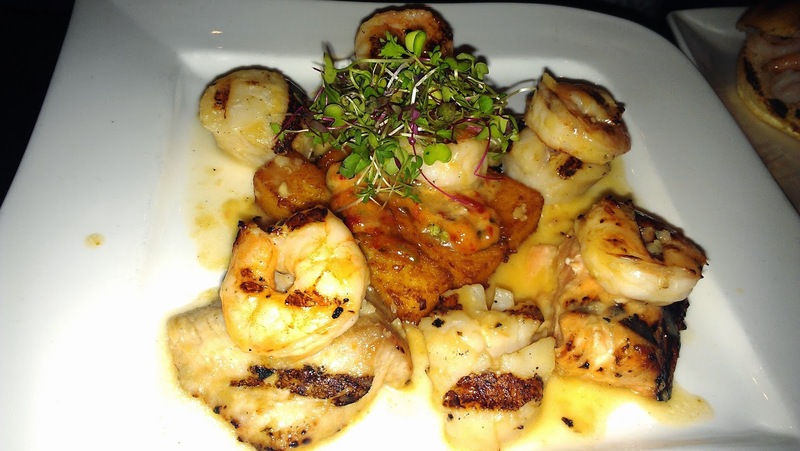 Luckily, the scallops kept o’ flowing in the next dish, the Mixed Seafood Grill ($26), which featured bountiful medley of scallops, shrimp, and mahi mahi surrounding a bed of grilled polenta topped with whipped tomato pesto and lemon vinaigrette. We finished off the meal with some Shrimp Sliders ($14) and the Mister’s favorite, the Sweet and Spicy Calamari ($12) served with an amazing out of the world peanut ginger dipping sauce that made us both weak in the knees. 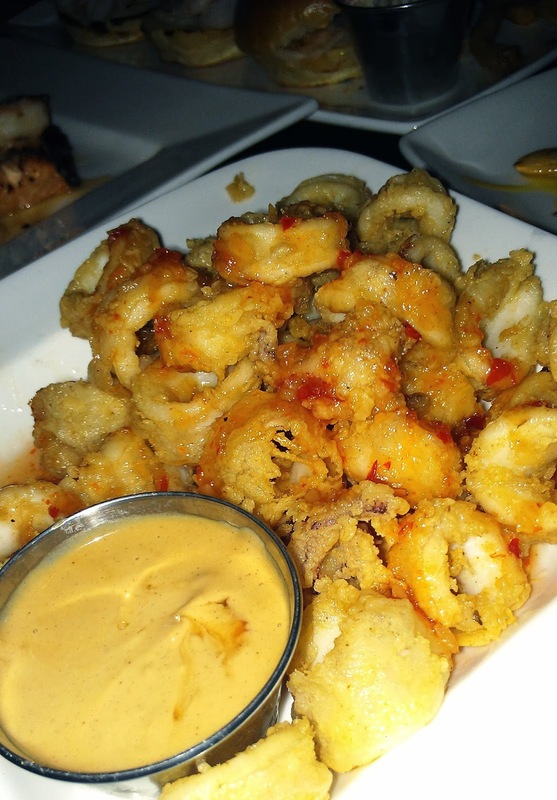 As we rolled out (literally – the portions were so large), I couldn't help but think Anne hit the nail on the head with this resto – if you are looking for quality food, friendly service, and a chill but still cool atmosphere – than Ivy is the place to be.